The/Studio: Introduce your Girl Scout Troop! Christina: Junior Troop 15424 has 18 4th graders and Troop 16164 has 16 2nd graders, I lead both troops and I have a daughter in each troop. The/Studio: What does the Girl Scout Organization do? Christina: Girl Scouts is an organization with a mission of building girls courage, confidence, and character and helping them make the world a better place. The/Studio: What have you learned since joining the Girl Scout Organization? Christina: Since joining Girl Scouts as an adult volunteer leader, four years ago, I have learned to be a true leader and be honest and fair with all, which has helped in both my career and with my troops. The/Studio: What about being involved in the Girl Scout Organization are you most proud of? Christina: I am most proud of the growth in confidence in these girls. I have a couple who started out really shy and found it hard to communicate and can now lead us in a flag salute at ceremonies that we are invited to. The/Studio: How does a girl scout earn her patches? 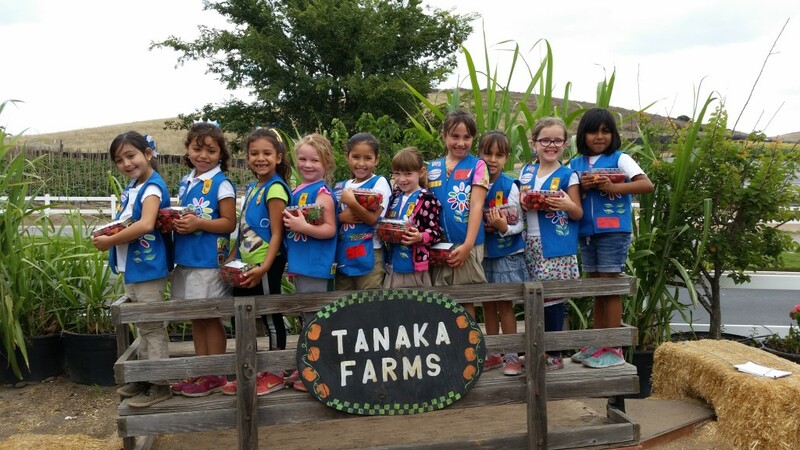 Christina: Girl Scout Badges are earned while the girls are exploring their interests and learning new skills. The/Studio: What does it mean to you when you earn a girl scout earns a patch? Christina: When our girls earn their badges it is great to know that they will remember every adventure that they completed with their sisters and be able to show the world what they accomplished by proudly displaying them on their vests. The/Studio: What is your favorite Girl Scout Cookie? Christina: My favorite Girl Scout cookie is the Samosas with caramel, coconut, and dark chocolate. The/Studio: If you could create your own Girl Scout Cookie, what would it be? Christina: I would create a chewy chocolate chip cookie. People always ask if we have one and I hate to disappoint customers during cookie season. The/Studio: What is your favorite thing about being a part of the Girl Scout Organization? Christina: My favorite thing about been a Girl Scout is been able to spend time with both my daughters as their leader and watching them grow as young ladies. The/Studio: What would you tell future girl scouts? Christina: I would tell future girl scouts to stick with Girl Scouts and not give in to peer pressure or think that they can’t do this because they are in a sport or other extra curricular activities. We have club soccer players, competitive cheerleaders, and competitive dancers in both troops. We girls can do anything we set our minds to. Christina: We found The/Studio through another troop that had used it while planning a cookie kick off event. I was excited that I could design my own patch and since our theme was cookies this year, I thought a cookies and milk patch would be great. That is how I came up with my sketch. Thank you, Christina, for allowing us the opportunity to interview you! Happy Girl Scout Day to you, your daughters and your troops!